If your home health agency could improve outcomes and star ratings, reduce cost for many episodes, and increase referrals, would that capture your attention? How Can Home Health Achieve the Triple Aim? First and foremost, healthcare at home is the least expensive form of healthcare. By contrast, the hospital is the most expensive. Avoiding preventable hospitalizations for large populations is the best way to achieve the Triple Aim. 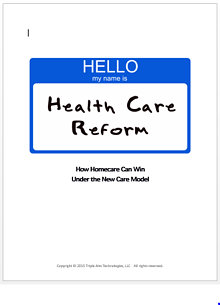 Home Health and Home Care agencies are optimally suited to drive this change. The Triple Aim Technologies solution helps home health agencies achieve this goal. Imagine how many hospitalizations could be avoided if your best nurse, with full knowledge of the disease histories of your patients, could call every one of your patients, as often as every day, and ask them the most relevant questions that would indicate that they're trending towards a hospitalization. Of course, this wouldn't be affordable with actual nurses, but this is what Triple Aim Technologies has achieved with automation. Home health agencies that adopt the triple aim solution will have increased patient contacts, reduced readmissions, improved star ratings and reduced costs (because the additional automated calls can serve tor reduce some live visits). Once triple aim certified agencies are able to provide the necessary geographic coverage for hospital systems or health plans (such as Medicare Advantage plans), the solution can be deployed to them to assist with readmission reduction (for hospitals) or population health management (for health plans) leading to paid referrals to the triple aim certified agencies. 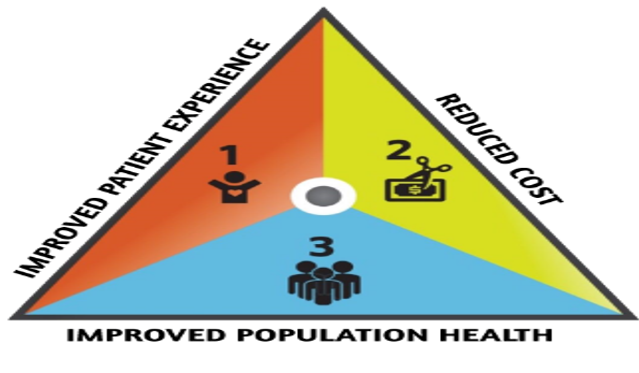 This is just a brief introduction to the Triple Aim solution, a more detailed backgrounder is available in a free whitepaper entitled "How Homecare Can Win Under the New Care Model". Please download by clicking the link or the picture below.